Home / InteriorsAn innovative corner cabinet solution!! 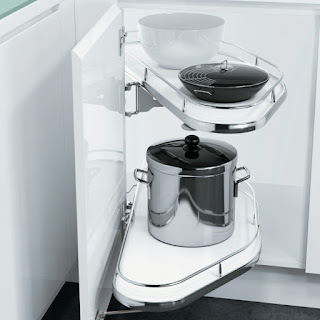 An innovative corner cabinet solution!! The most underestimated space in the kitchen is the corners. 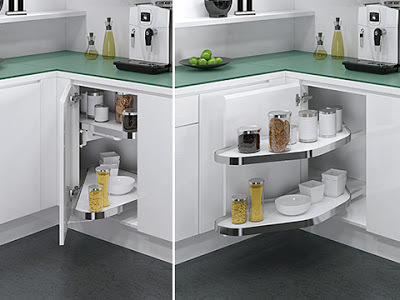 Most kitchens corner is frequently left unused – or used with simple shelf solutions offering users insufficient access to stored items. 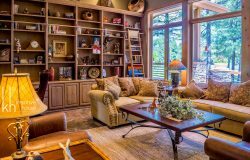 For this reason, the corner cabinet offers huge potential for effectively exploiting storage space, particularly in smaller spaces. 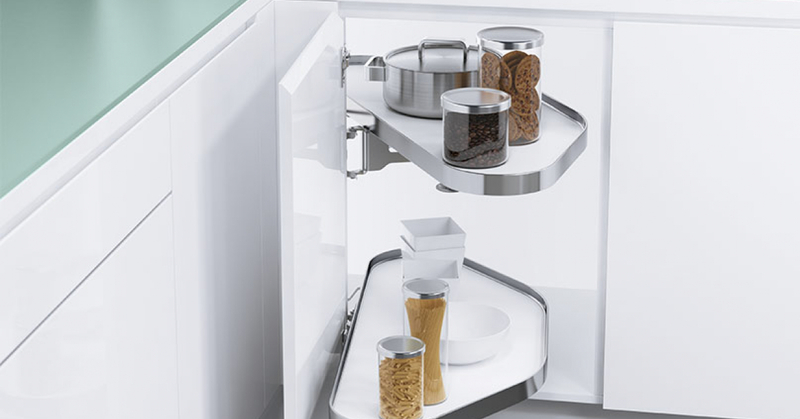 The company Hafele Vauth-Sagel’s has released its Cornerstone cabinet solution which it says is “rethinking the corner”. Cornerstone is a swivelling system component that automatically extends the entire contents out of the cabinet upon opening the door. The travel path is controlled and confined to the area of the corner cabinet carcase. The opening angle of just 85 degrees is optimised in a way that the corner cabinet does not impact with other front panels, handles or walls. 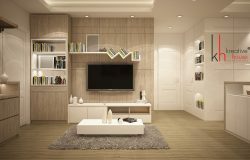 Closing the cabinet is also possible with a small movement of the door – the shelf elements retreat virtually silently back into the corner cabinet. Cornerstone is an all-rounder, equipped with symmetrical shelves and the corresponding mechanism (measuring 75mm in height) enables flexible utilization whether the corner cabinet is installed on the left or the right. 2) Cornerstone Maxx Cornerstone Maxx offers maximum comfort, modern design and innovative features. With an asymmetrical shape, the unit features two height-adjustable shelf surfaces for even more storage space. Maxx is heavy-load compatible, suitable for weights of up to 25kg on each shelf. 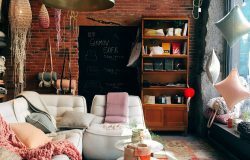 ← Looking for Ceiling Ideas! !